Do you need help with garden clearance in Moorgate EC2, Liverpool Street or the surrounding area? Look no further than Away With It! For more than a decade we’ve been providing garden clearance Moorgate property owners turn to and cheerfully recommend to neighbours, relatives and friends. 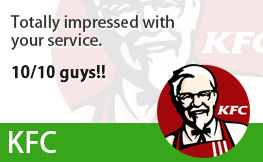 They really love our speedy, flexible services and budget-friendly prices. And we are convinced you will too! 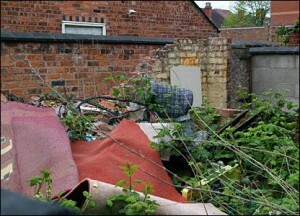 Garden clearance is hard work and garden waste disposal can be a major inconvenience. But Away With It make garden clearance a breeze. 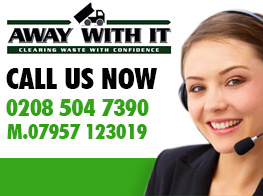 Our efficient and experienced team will remove all of your garden refuse fast. And for a lot less money than you may think. Organic matter including grass, weeds, tree roots and branches, soil and shrubs. And when the job’s done we will even sweep and rake up leaving your garden neat as a pin. As licensed waste carriers you can depend on us to perform a completely professional job and take care of all your waste appropriately. We offer a fast and flexible service 7 days a week from 7am to 11.30 pm. Evening and weekend collections can always be arranged for your convenience. 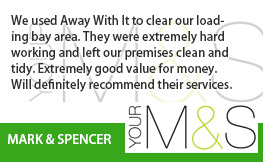 If you need a same day removal service we can handle it. Whenever you need us we are only a call away. Appointments are made it two hour slots and we’ll never fail to call ahead of time to tell you when we’ll be getting there so you’re not left hanging. 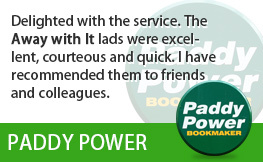 Our clear-cut pricing means there won’t be any disagreeable shocks when the bill is presented. The rate we quote is the rate you will pay with no hidden supplements. 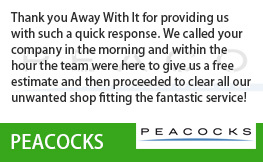 We always sweep up when we’ve finished clearing your refuse and leave your property tidy and clean. We recycle 80% of the waste that we remove. 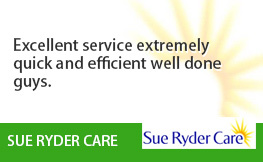 To discuss your need for garden clearance Moorgate call us today on 0208 504 7390. We’re standing by 7am to 11.30 pm including weekends to take your call. 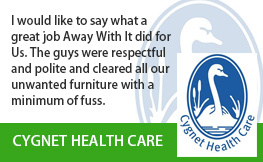 Our knowledgeable team will be happy to answer your questions and provide a free estimate.